Problem gambling is defined as a gambling behavior that causes disruptions in any major area of life. That could be emotional (worries), physical (feeling sick and anxiety), social (owing money or relationship problems) and vocational (problems at work, missing time). 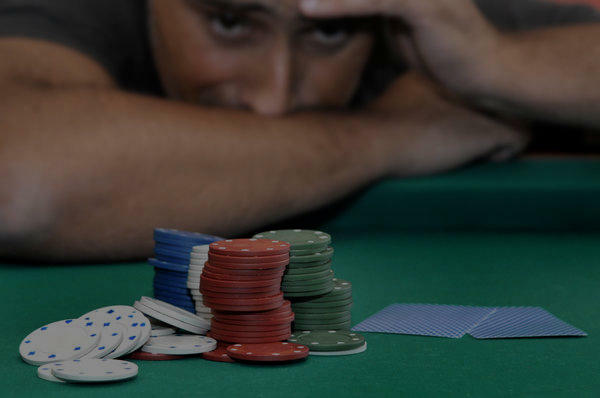 The term “Problem Gambling” also includes a condition known as “Pathological” or “Compulsive Gambling”, a progressive addiction that is characterized by an increasing preoccupation with gambling. This includes a need to bet more, restlessness and being irritable when attempting to stop, “chasing” losses and a continuation of gambling behavior despite mounting personal and financial problems. Nationally, It is estimated that as many as 4% of gamblers may go on to develop a gambling problem. In the Commonwealth of Massachusetts, recent studies indicate that as many as 6% of adults have experienced a gambling problem in their lifetime. Just a few short years ago, gamblers were considered ‘social misfits’. Today, gambling is part of our mainstream culture with numbers games and lottery tickets available at food and convenience stores and casinos becoming tourist destinations. Far from the ‘social misfits’ of yesterday, research shows that today’s gamblers are employed, have families and are ordinary, hard working people. Education – Learn about gambling cycles, brain pathways, rates of gambling returns, how “the house” will always win. Cognitive Therapy – Learn to identify the thinking patterns that lead to gambling activities, thoughts that keep you gambling once you started, and techniques on how to think differently about gambling. Behavior Change – Learn to identify triggers and high risk situations, reduce access to money and gambling locations, change routines, set goals, develop action plans and plan alternative healthy activities. Emotions – Learn to change your negative emotions through problem solving skills and relaxation techniques. Relapse Prevention – Learn to maintain your new behaviors and thinking through time so you can avoid a return to gambling behaviors in the future, develop plans for future situations and how to recover quickly from a slip.